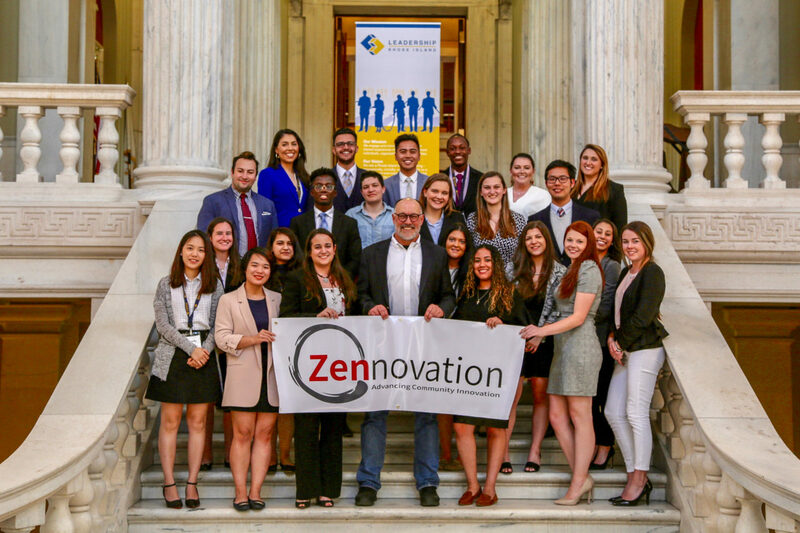 During the final 2018 CLRI session day, Lorne Adrain (LRI ‘94), delivered a $5,000 challenge from Zennovation in support of the expansion of the college program beginning next fall. Adrain launched the Zennovation Challenge by personally pledging $1,000 toward the $5,000 matching goal. Alumni of both the Core and the College Programs, as well as community members and organizations, are encouraged to contribute to help CLRI reach the $10,000 total. By contributing to this campaign, you will support the growth of our college leadership program as it expands into an academic-year-long experience. The 2019 CLRI Class will also expand in size, providing an opportunity for more young leaders to participate in this essential career readiness program. These efforts will contribute to the retention of young talent in the state. Zennovation and Adrain join multi-year CLRI supporters, Amica Companies Foundation, National Grid, and Ting and Ian Barnard.